Frank, based at New York’s Columbia University, shares the $1.1 million prize with Jacques Dubochet of the University of Lausanne and Richard Henderson of MRC Laboratory of Molecular Biology in Cambridge, Britain. The development, the Academy said, “is decisive for both the basic understanding of life’s chemistry and for the development of pharmaceuticals.” The Zika virus, for example, was analyzed using this method. The virus's anatomic structure was discovered in only a few months using this technique, which is important for creating new drugs or vaccine. 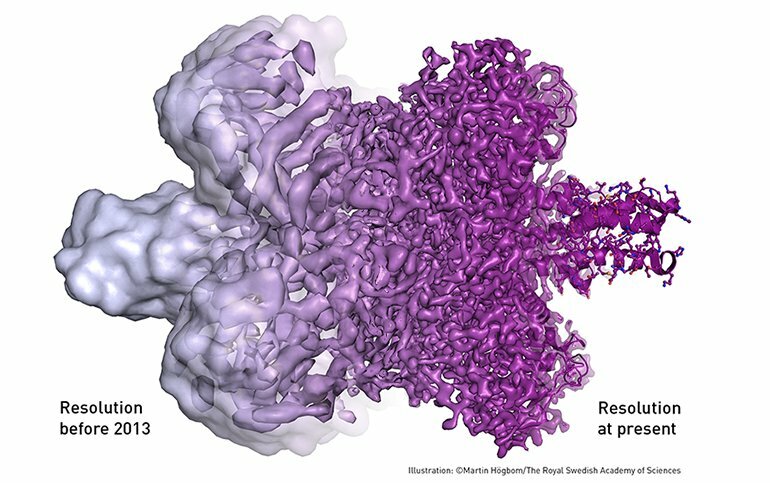 The Nobel Prize for Chemistry rewards researchers for major advances in studying the infinitesimal bits of material that are the building blocks of life. Recent prizes have gone to scientists who developed molecular “machines”—molecules with controllable motions—and who mapped how cells repair damaged DNA, leading to improved cancer treatments. It’s the third Nobel announced this week and final science-related award.